Structural Health Monitoring (SHM) provides the facilities for in-service monitoring of structural performance and damage assessment, and is a key element of condition based maintenance and damage prognosis. 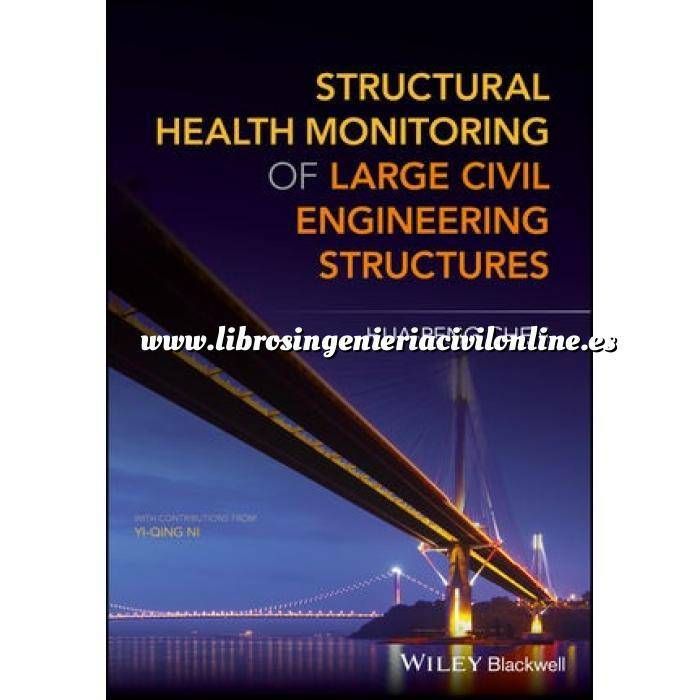 This comprehensive book brings readers up to date on the most important changes and advancements in the structural health monitoring technologies applied to civil engineering structures. It covers all aspects required for such monitoring in the field, including sensors and networks, data acquisition and processing, damage detection techniques and damage prognostics techniques. The book also includes a number of case studies showing how the techniques can be applied in the development of sustainable and resilient civil infrastructure systems. Structural Health Monitoring of Large Civil Engineering Structures offers in-depth chapter coverage of: Sensors and Sensing Technology for Structural Monitoring; Data Acquisition, Transmission, and Management; Structural Damage Identification Techniques; Modal Analysis of Civil Engineering Structures; Finite Element Model Updating; Vibration Based Damage Identification Methods; Model Based Damage Assessment Methods; Monitoring Based Reliability Analysis and Damage Prognosis; and Applications of SHM Strategies to Large Civil Structures.